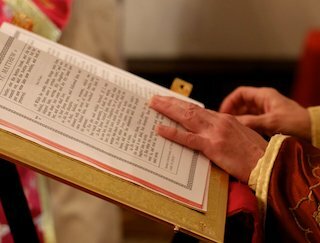 The word liturgy means common work or common action. 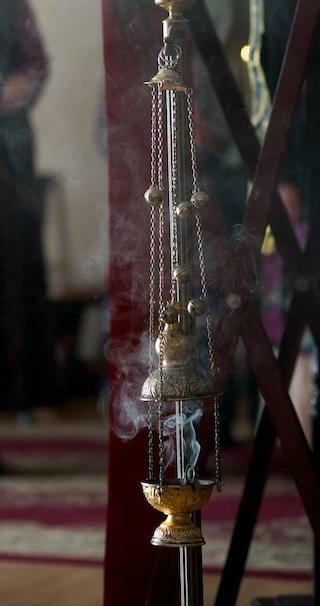 The Divine Liturgy is the common work of the Orthodox Church. It is the official action of the Church formally gathered together as the chosen People of God. The word church, as we may know, means a gathering or assembly of people specifically chosen and called apart to perform a particular task. The Divine Liturgy celebrated by the Orthodox Church is called the Liturgy of St. John Chrysostom. It is a shorter liturgy than the Liturgy of St. Basil the Great that is used only ten times during the Church Year. These two liturgies probably received their present form after the ninth century. It is not the case that they were written exactly as they now stand by the saints whose names they carry. It is quite certain, however, that the eucharistic prayers of each of these liturgies were formulated as early as the fourth and fifth centuries when these saints lived and worked in the Church. The Divine Liturgy has two main parts. The first part is the gathering, called the synaxis. It has its origin in the synagogue gatherings of the Old Testament, and is centered in the proclamation and meditation of the Word of God. The second part of the Divine Liturgy is the eucharistic sacrifice. It has its origin in the Old Testament temple worship, the priestly sacrifices of the People of God; and in the central saving event of the Old Testament, the Passover (Pascha). In the New Testament Church Jesus Christ is the Living Word of God, and it is the Christian gospels and apostolic writings which are proclaimed and meditated at the first part of the Divine Liturgy. And in the New Testament Church, the central saving event is the one perfect, eternal and all-sufficient sacrifice of Jesus Christ, the one great High Priest who is also the Lamb of God slain for the salvation of the world, the New Passover. 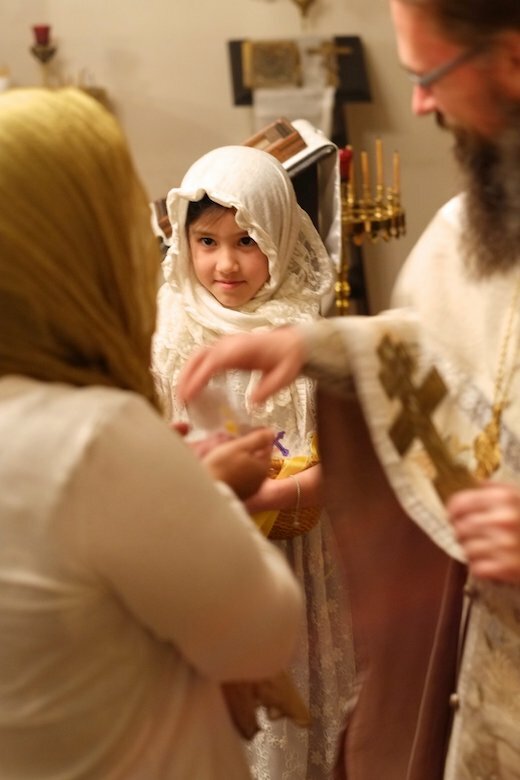 At the Divine Liturgy the faithful Christians participate in the voluntary self-offering of Christ to the Father, accomplished once and for all upon the Cross by the power of the Holy Spirit. In and through this unique sacrifice of Christ, the faithful Christians receive Holy Communion with God.